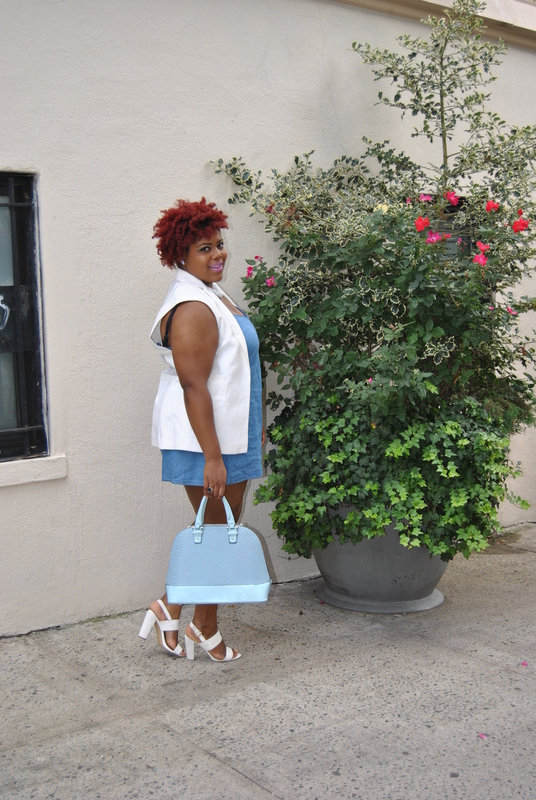 Denim was one of the top three best summer trends, and although I am confident it will make a trendy transition to fall, I am styling all of the fun summer pieces while I can. 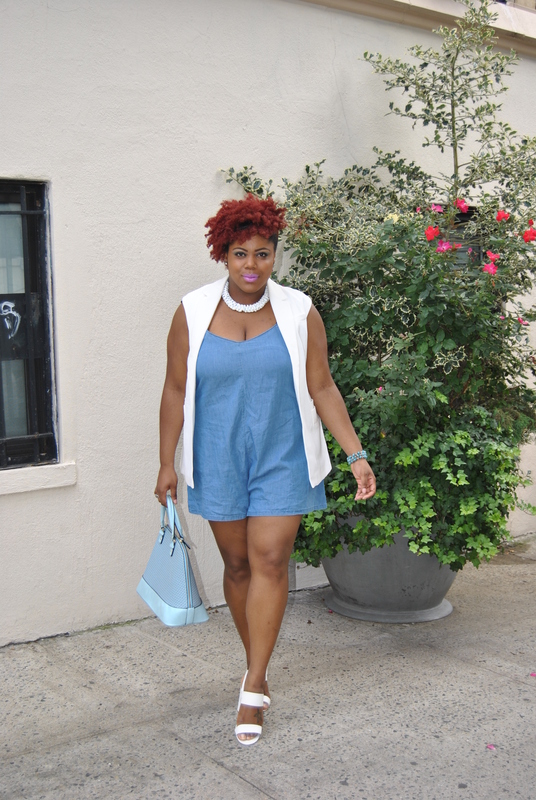 Playsuits were also a hot summer trend that I loved! They are so comfortable and perfect for hanging in the city. This look was rather simplistic. 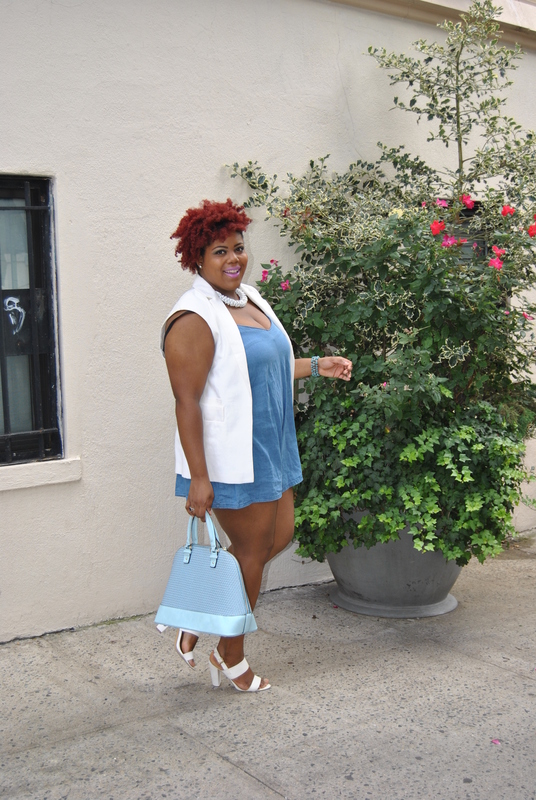 I adore this lightweight, light washed jean number. The flowy fit is great for a breezy summer day. 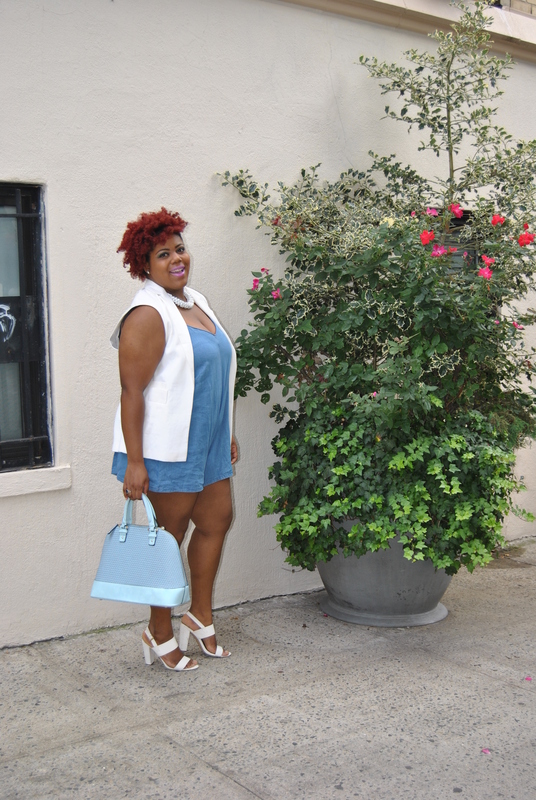 Because of the light wash jean, I wanted to stick with light hues, so I accessorized with white, which is the power color of summer! 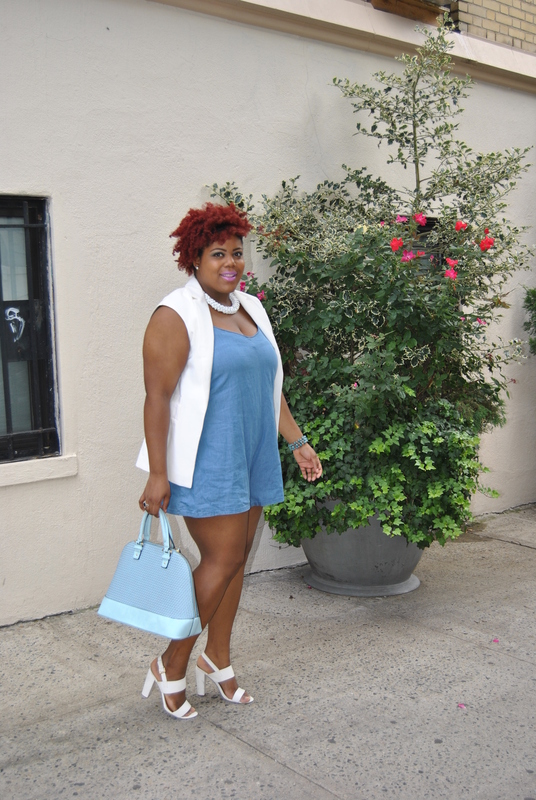 A white vest was definitely a summer staple for my wardrobe and it made my white accessorizes stand out even more. I finished my look with a statement tote! 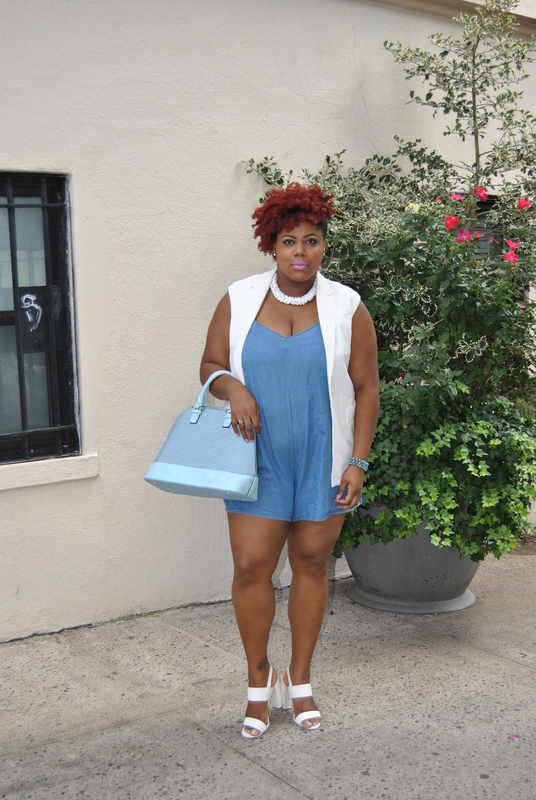 Its a great compliment to the playsuit!